The Hoklo people (福建闽南人) from Quanzhou, Amoy, and Zhangzhou is the largest Chinese language group in Malaysia. ^ Chua, Amy (January 21, 2017). "Think tank predicts Chinese Malaysian population may drop below 20pc by 2030". Asia Times. ^ Lim How Pim (July 10, 2016). 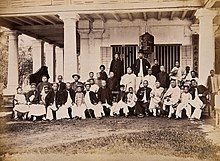 "Quanzhou – springboard of the Chinese diaspora". The Borneo Post. ^ Jessieca Leo (2015-09-03). Global Hakka: Hakka Identity in the Remaking. Brill. p. 87. ISBN 9789004300279. ^ "Government data shows fewer ethnic Chinese in 2017". Malaymail Online. July 15, 2017. 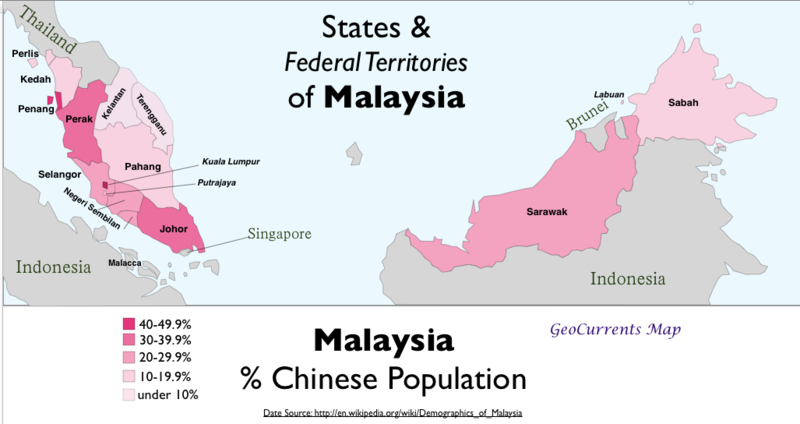 ^ "Falling Malaysian Chinese population worrying: Analysts". ST-Asia. January 24, 2017. ^ "MALAYSIA'S CHINESE POPULATION IS SHRINKING AT AN ALARMING RATE. HERE ARE 3 POSSIBLE REASONS". CILISOS. July 19, 2017. ^ In-Won Hwang (2003-10-13). Personalized Politics: The Malaysian State Under Mahathir. Institute of Southeast Asian Studies. pp. 21–22. ISBN 9789812301864. 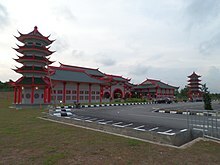 ^ "What you should know about Chinese school in Malaysia". Malaymail Online. July 3, 2017. ^ Chow Kum Hor (2008-01-31). 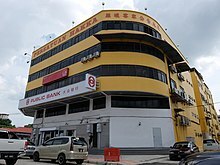 "Battle to save Malaysia's Chinese dropouts". The Straits Times. AsiaOne News. Retrieved 2008-10-01. ^ Pang, Kevin (March 28, 2016). "The World's Best Chicken Comes from Hainan". Saveur. 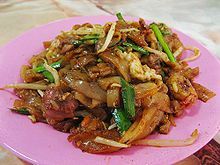 ^ "Behold, the Penang Hokkien Mee". 2014-04-13. Retrieved 2017-03-18. ^ "Muslim converts deserve Bumi rights as 'special Malays', says ex-judge". March 31, 2014. ^ Chinese beliefs and practices in Southeast Asia : studies on the Chinese religion in Malaysia, Singapore, and Indonesia. Cheu, Hock Tong. Petaling Jaya, Selangor Darul Ehsan, Malaysia: Pelanduk Publications. 1993. ISBN 978-9679784527. OCLC 30048419. ^ R. Rajoo (1985). Mohd. Taib Osman, ed. Malaysian World-view. Inst of Southeast Asian Studies. pp. 136–140. ISBN 978-9971988128. ^ J.T. Quigley (February 25, 2014). "Malaysian Prime Minister: One in 10 Citizens Pay Their Taxes". The Diplomat. 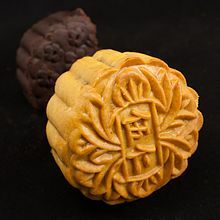 ^ Lok Wing Kong (November 26, 2013). "Chinese Malaysians most patriotic". The Malaysian Insider. Archived from the original on 27 November 2013. ^ a b c Shafii, Zurina (July–August 2009). "Ethnic Heterogeneity in the Malaysian Economy: A Special Reference to the Ethnic Group Participation in Financial Planning Activities" (PDF). The Journal of International Social Research. 2. Retrieved 10 May 2012.